Hudson Yost, born in China, was adopted by American parents at the age of three-and-a-half. Born with Atresia and Microtia, Hudson has profound hearing loss in his left ear and moderate hearing loss in his right ear. Now four years old, despite the challenges of Atresia and Microtia, Hudson has developed a solid vocabulary and can communicate with others. While learning to communicate in english and forming a strong bond with his new parents, Hudson’s mother, Tammi Yost, wanted him to have every opportunity to develop like any other child. Tammi learned about Ear Community’s donation program, and applied for Hudson to receive a bone anchored hearing system (BAHS). This entry was posted in Customer Stories and tagged AIER, Atresia, BAHS, bone anchored hearing, Chengdu, children, China, ear community, hearing loss, Huaxi Hospital, Microtia, Oticon Medical, Ponto Plus on March 24, 2015 by oticonmedical. We’ve shared quite a bit about our favorite comic book hero, Blue Ear. Blue Ear is a Marvel comic book character inspired by Ponto Plus wearer Anthony Smith. When 6-year old Anthony asked his mom if any superheroes wore hearing devices, Christina D’Allesandro reached out to Marvel. 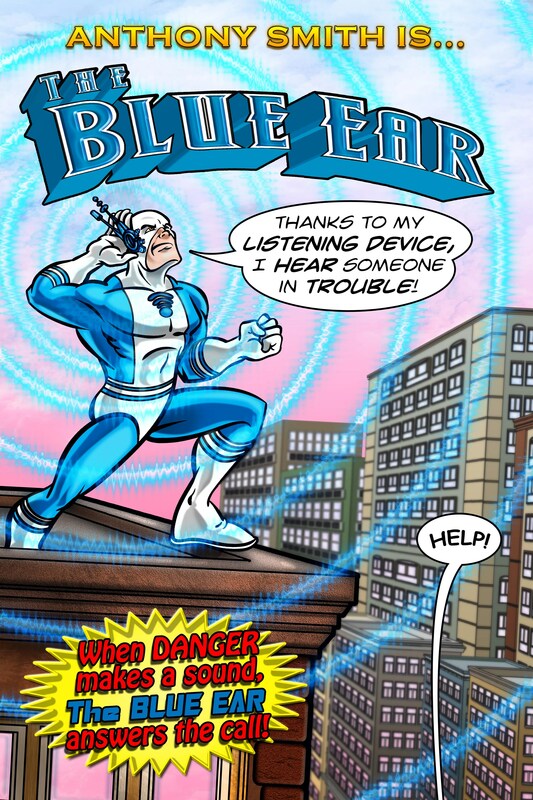 Marvel went to work and created an official comic book centered around Blue Ear, a superhero who uses his special listening device to help people in trouble. Marvel has provided us with 25 copies of the official–and admittedly hard to get–Blue Ear comic book, and we’re thrilled to announce that we’re giving them away through a new contest! Like Blue Ear, we know that #SoundMatters to you. This entry was posted in Customer Stories and tagged Blue Ear, Bone anchored hearing systems, children, Marvel, Ponto Plus on March 16, 2015 by oticonmedical. This is just the kind of story we love sharing. In Nepal, a young girl born to a single mother now has the chance to grow and develop with better hearing thanks to the generosity of others and her family’s efforts to give her the best life possible. With no ear specialists in her entire region or the funds for proper care, Asmita, born in Western Nepal without properly formed ears, faced an uphill battle. Ear Aid Nepal and the British Society of Audiology recently shared Asmita’s story. Thanks to the volunteered efforts of Ear Aid Nepal, the International Nepal Fellowship (INF) and volunteer audiologists from the UK, Asmita was able to receive care. We were thrilled to donate two Ponto softbands to aid their efforts. This entry was posted in Customer Stories and tagged Audiologist, British Society of Audiology, children with hearing loss, Ear Aid Nepal, Nepal, ponto, Ponto Soft Band, single sided deafness on March 10, 2015 by oticonmedical.